Each country has a unique locally-brewed liquor: Russia has vodka, Germany has beer, France has wine. Then what is Japan known for? 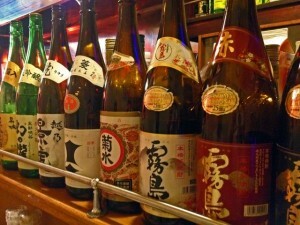 The drink that is unique to Japan is the Nihonshu, otherwise known as Seishu or Sake. Nihonshu is made with water and rice. The starch in the rice is fermented into sugar, then into alcohol over time. It seems like because there are so few ingredients all sake will taste the same. But there are many varietals of rice and the water that differ according to the area and climate. And so there are many subtle versions of sake. As with each winemaker, each Toji (sake manufacturer) has a different method of fermentation. And so each nihonshu brewery boasts their own vintage. 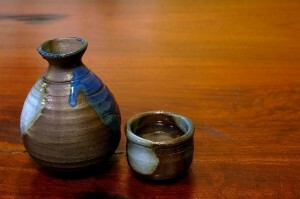 Sake is delicious hot or cold – a rare trait seen in liquor. The serving temperature can vary between 5 to 55 degrees Celsius. It is a characteristic of Nihonshu that the temperature is changed depending on the setting, dishes, and company. Japan has beautiful seasons. It is a unique and luxurious tradition of Japan that sake is enjoyed in nature while relishing the changing seasons. In spring, Hanami-sake is popular. 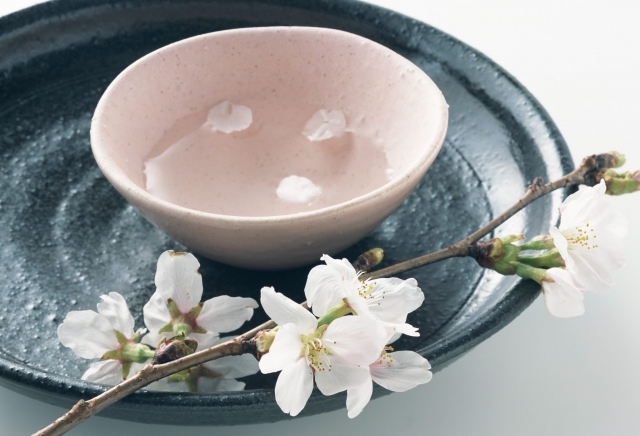 Drinking sake while observing the fragile beauty of cherry blossoms is a tradition that has continued since the Nara / Heian periods. At the end of June, most farmers will have finished planting their rice and sit to drink sake. This drink has been customary to cleanse the events of the first half of the year, while giving a prayer that their families will be able to pass the hot summer. In autumn “Tsukimi-sake” is customary. It is customary in Japan to pick a night of the full moon in autumn to eat sweet moon cakes with a cup of sake. Under the moonlight the Japanese would savor the changing of the seasons. In winter “Yukimi-sake” is common, where sake is enjoyed watching light falling snow. This was a custom that started in the Heian era, when nobles used to take a carriage to the hills and fields and took a boat out to sea to enjoy this tradition. These days, people sip on hot sake while dipping in an outdoor onsen, watching the snow fall. When you came to Japan, take notice of the seasons while savoring your sake!